(CN) – Permafrost might be more sensitive to the effects of climate change than previously thought, which could lead to the loss of nearly 1.5 million square miles of frozen soil for every 1.8 degrees Fahrenheit of warming in the future. In a study published Monday in the journal Nature Climate Change, a team of scientists shows that global warming could thaw about 20 percent more permafrost than previous studies have projected – potentially releasing significant amounts of carbon into the Earth’s atmosphere. Estimates suggest that permafrost – frozen soil that has been at a temperature of below 32 degrees Fahrenheit for at least two years – contains more carbon than is currently in the atmosphere, which makes it an important variable in climate-change projections. Recent studies have shown that Arctic ice is warming at about twice the rate of the rest of the planet, and permafrost has already started to thaw across large areas. However, the team suggests that massive permafrost loss can be limited by meeting climate goals established in the United Nations Paris Agreement, which aims to keep temperatures at or below 3.6 degrees Fahrenheit higher than preindustrial levels. The team used a combination of observed data and global climate models to predict the global loss of permafrost under climate change. They examined permafrost changes across the landscape, and how this impacted air temperature. They then considered possible increases in air temperature in the future, which they used to establish a permafrost distribution map using their observation-based relationship. Using this data, the team was able to calculate the amount of permafrost that would be lost under proposed climate stabilization targets. “We found that the current pattern of permafrost reveals the sensitivity of permafrost to global warming,” Peter Cox, study co-author and professor at the University of Exeter, said. 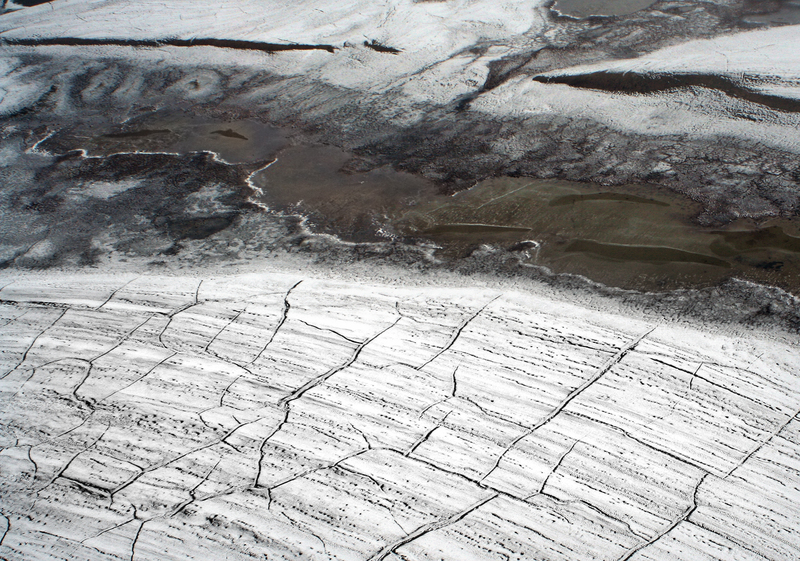 Stabilizing temperatures at 3.6 degrees Fahrenheit above pre-industrial levels would lead to thawing of more than 40 percent of today’s permafrost areas, according to the study. “The ability to more accurately assess permafrost loss can hopefully feed into a greater understanding of the impact of global warming and potentially inform global warming policy,” said co-author Eleanor Burke, from the Met Office Hadley Centre.